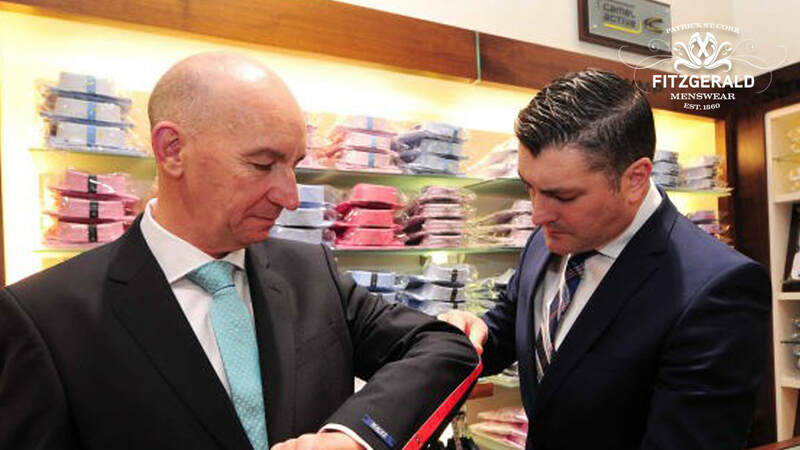 "Proudly, we have been offering a dedicated Personal Shopper service throughout our distinguished history of nearly 160 years of trading on St. Patrick's Street". This is a service we continue to hold in the highest regard, more so when modern trends appears to be taking the personal touch away from the simple pleasures of purchasing a new outfit. If you have a special occasion approaching, or simply want some advice and guidance on pairing certain styles away from your standard norms, we will be delighted to be of assistance to you. Additionally, our Personal Shopper service is availed of by many when we introduce new seasonal collections. With new seasons comes new looks, so our service is an ideal way for you to learn from our skilled stylists about how differing cuts, shades and fabrics can enhance your overall appearance for the season ahead. Plus, you get a fabulous insight into new trends and the upcoming brands in the men's fashion world! Additionally, with our on-site tailors, we can also arrange any necessary alterations and adjustments in a speedy manner for no additional charge. Your stylish will arrange all matters with you in good time to ensure all is ready for when required. Everyone visiting us at 24 St. Patrick's Street is assured of a very warm welcome. However, should you wish us to dedicate more time to your own specific diary for the Personal Shopper service experience, please do make contact with us by completing the enquiry form on this page. Alternatively, feel free to call us on 021 427 0095 and we will arrange a time to visit us that suits you best. Please tell us of your preferred sizes, or if you have any special occasion in mind. This will allow us to have some advance pieces ready for you. Thank you.